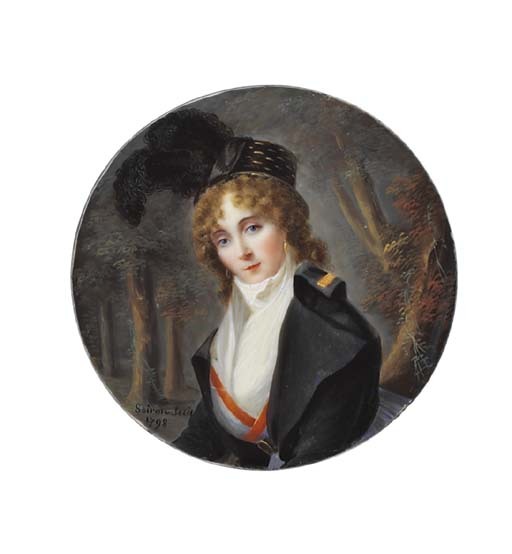 This enamel is reminiscent of Soiron's portrait of a young lady with feathered hat in a landscape, illustrated in L. R. Schidlof, The Miniature in Europe, Graz, 1964, IV, pl. 546, no. 1111.